Electric bikes are becoming more and more popular with every coming year. In North America and Europe electric bikes have exploded in use and even ride sharing services and companies have begun to form using this technology. In areas packed with people, where cars are more of a nuisance than a benefit, electric bikes have started taking over. It provides a nice alternative to both cars and regular bikes, bringing the best of both worlds. While you don’t have quite the speed and safety of a car, it gives you access to bike lanes and paths and also saves your energy because of the motor. All the benefits of a bike with the capability to move without you peddling. There are a few different types of e bikes but they generally fall into two categories, full power and power assist. Here we break down some of the key similarities and differences to allow you to find which type is right for you. These are the electric bikes that are the most common. They are simply regular bicycles with a motor and a battery attached. As the name suggests, it is assisting with power delivery, this means you still have to pedal. The motor kicks in when you want to give peddling a break or when you’re going up a steep hill or incline and it helps you maintain a certain speed. These bikes are more common because of a variety of factors, mostly the fact that they can be regular bicycles that are fitted with a small battery and motor afterwards. This means they can be made less expensive, and manufacturing would be much easier. This technology has helped with companies around the world starting ride sharing businesses with these types of electric bikes and scooters, especially in crowded cities like New York and Amsterdam. They also have great range because the battery is only being used when in need, some able to go for as long as 140km. Full power electric bikes also come in a variety of forms, but generally are much heavier, bigger, and don’t have peddling. These bikes can be made to look like real motorcycles, have a much higher capacity battery than power assist bikes as they solely rely on electricity to move forward. These bikes can cost upwards of $5,000 because they aren’t really just bicycles anymore. They also have a much shorter range than power assist bikes, only getting up to about 80km for a high end bike. 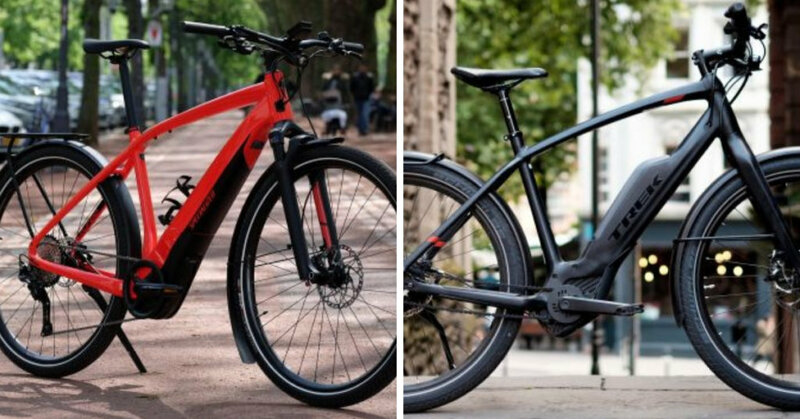 Whatever your budget or style, electric bikes are here to make your life easier, and help be more environmentally friendly at the same time, but remember to always do your research and go for a test ride before making any purchases.